Join us in raising awareness and support for these projects by choosing the ticket amount you would like to donate – your donation helps these projects have an even bigger impact! Your donation amount will directly benefit one of the selected community projects outlined in the Program Description below. Even if you cannot attend this program, please consider making a donation/contribution to the Legacy Project though the link below. Join Illinois Green and the 2018 Greenbuild Host Committee as our three amazing Legacy Project finalists present to our jury and Illinois Green members as their final step before Illinois Green and USGBC make one grant of $10,000 for their community project proposal! The Greenbuild Conference is expected to bring over 20,000 visitors to the Chicago area. This is a tremendous opportunity for Chicago to showcase local projects and expertise while bringing attention to issues of particular importance to our region. Our goal is to leverage the event, through the Greenbuild Legacy Project, to engage the broader local community in discussions and activities that raise awareness around sustainability and the built environment throughout the year leading up to the event and into the future. Please join us to learn more about these amazing projects in progress throughout Chicago and find out how your or your organization can support their efforts in the future. Proceeds from this event will contribute additional funds to the project finalist. Project Exploration is a science education organization dedicated to making science accessible to youth from communities historically underrepresented in the sciences, especially girls and students of color. We provide high-quality out-of-school time programs to Chicago public middle and high school students, through which they engage in authentic science experiences and work alongside mentors and STEM professionals. The proposed project is for Project Exploration’s summer program, Science Giants, which immerses high school students in environmental sciences and science outreach. The six-week program takes place at Al Raby High School in the East Garfield Park, targeting 15 students of color. Youth will build a garden bed and harvest for Inspiration Kitchens, a neighborhood restaurant that employs and serves homeless and previously incarcerated community members. Science Giants has three critical components. First, the program equips young people with the techniques and skills needed to build and utilize a productive garden bed, such as mapping, planning, building, communication, entrepreneurship, and collaboration. Second, the youth are introduced to professionals, broadening their conception of employment and career opportunities within related industries, such as building, energy, sustainability, and landscaping, among others. This program will recruit and support up to 10 professionals from Illinois Green Alliance to engage with youth in meaningful ways, using Project Exploration’s developed toolkit for scientist outreach. Third, the program will support youth in positively impacting and engaging with their community as they work with Inspiration Kitchens to produce food that will be used in the monthly free dinners for neighborhood members in need. Learn more about Project Exploration here. The Chicago EcoHouse (CEH) Flower Farm project seeks to build a second flower farm on Chicago’s west side after successfully completing our first farm on the city’s south side. 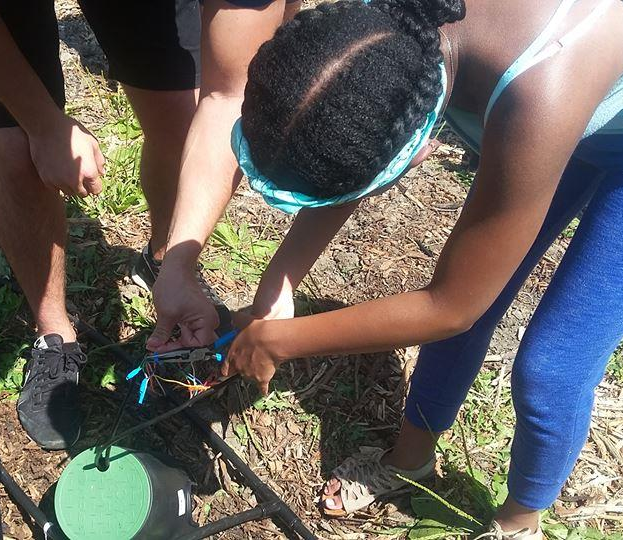 CEH has the mission of using sustainability to alleviate inner city poverty through income generating projects such as our flower farms and our unique 3D printer maker spaces. CEH is an award winning organization having won Delta Institute’s BOOST award as well as Underwriter’s Laboratories prestigious Innovative Education Award, which is awarded to the most innovative environmental education nonprofits in North America. CEH was started in 2014 when its founder, Quilen Blackwell, moved from Wisconsin to Chicago’s south side in the troubled Englewood neighborhood by purchasing a property for his family to live in. His home became the first Eco House. CEH flower farms are located on the predominantly African American south and west sides of Chicago as a means of spurring economic development while also demonstrating green building benefits to a non-traditional audience. There is a great need in these neighborhoods for productive uses of vacant land as they are burdened by tens of thousands of vacant/blighted lots. CEH flower farms is an economically and environmentally sound solution to this problem. CEH trains inner city youth to build and maintain the farm’s infrastructure that includes rainwater catchment systems and solar power generation to minimize our ecological footprint while leasing our farms to professional urban flower farmers on a shared revenue agreement, of which the youth share in the dividends. Learn more about Chicago EcoHouse here. Re:Claim-the-Calumet (Re:Claim Project) is a creative placemaking initiative anchored by a community and youth-powered collective process. 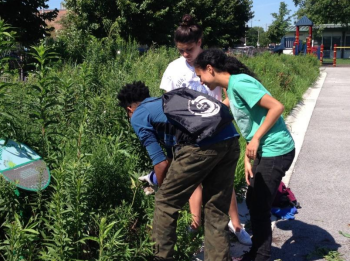 This cultural organizing work combines strategies in community engagement, site stewardship, asset mapping, and program development intended to activate natural area sites located within communities in southeast Chicago. The vision of Re:Claim Project is to partner with youth and young adults living in communities in southeast Chicago to tackle the disconnect between these youth and nature; to help them access, reclaim, and embrace the natural sites in their communities and benefit from the positive mental, physical, and emotional attributes associated with spending time outdoors and in nature. The Chicago Park District (CPD) and its partners have allocated significant resources to remediate natural sites and open space in the Calumet. These natural spaces include Big Marsh Park, Hegewisch Marsh, and Indian Ridge Marsh. In April 2018, CPD will break ground on the Ford Calumet Environmental Center (FCEC). The center is designed as a gateway to the Calumet region to serve local communities and celebrate the region’s environmental, cultural, and recreational assets. 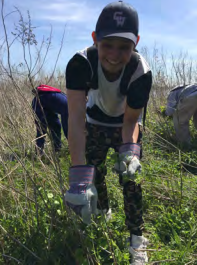 Designation of Re:Claim Project as the 2018 Greenbuild Legacy Project will result in local youth taking ownership of the FCEC and in ongoing natural area space making projects at Big Marsh—a lasting tribute to the creativity, entrepreneurial energy, and pioneering spirit of Greenbuild attendees. Learn more about the Ford Calumet Environmental Center project here. Thank you to the full list of organizations and proposed projects. Please take some time to learn more about these amazing organizations and their community projects as well.